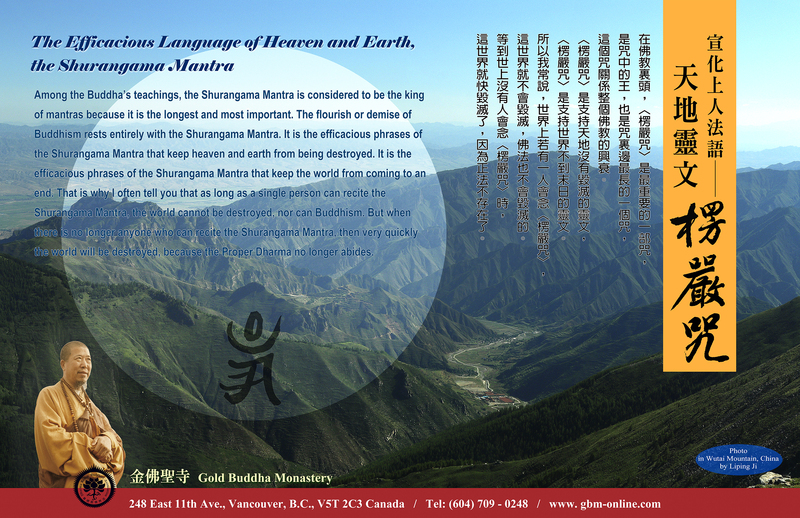 The purpose of reciting the Shurangama Mantra is to dedicate our efforts to world peace and to keeping proper dharma in the world. 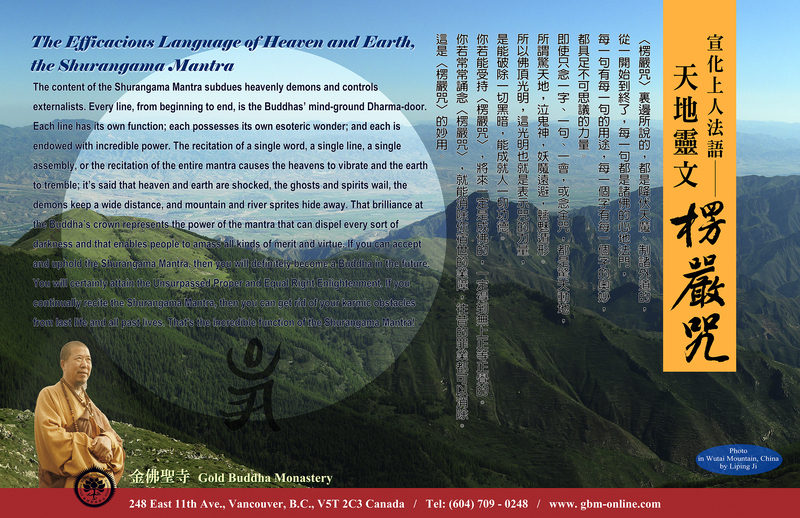 We are also grateful to our late teacher, Venerable Master Hsuan Hua for guiding us in this practice. 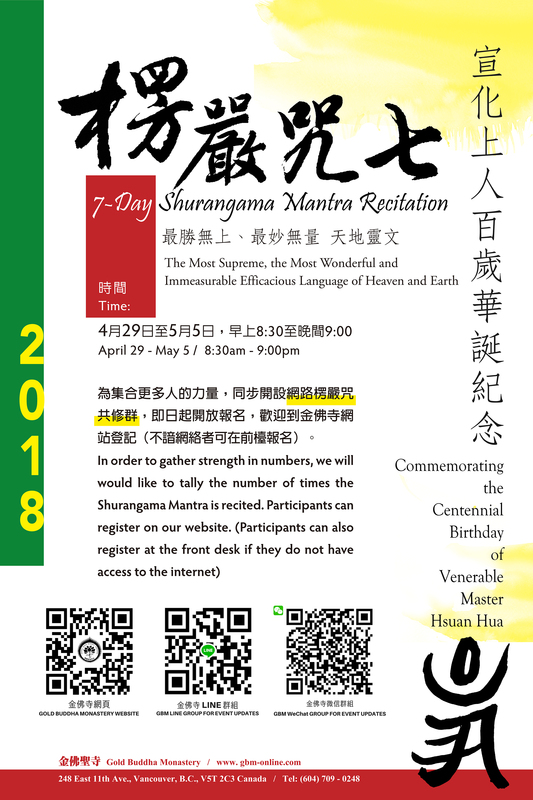 The 7-day Shurangama Mantra recitation dharma assembly finished on May 5. We have recited the mantra 21,014 times since April 16 – a combined total from all online and in house participants at GBM. It was wonderful to see everyone participate, whether it was the first time you encountered the mantra or are already familiar with it. Although the dharma assembly has ended, may everyone continue to recite the Shurangama Mantra, be vigorous in cultivation, grow in wisdom and be filled with dharma joy!